A friend of mine, Dena, approached me a while ago, asking if I would make her a forehead cloth. 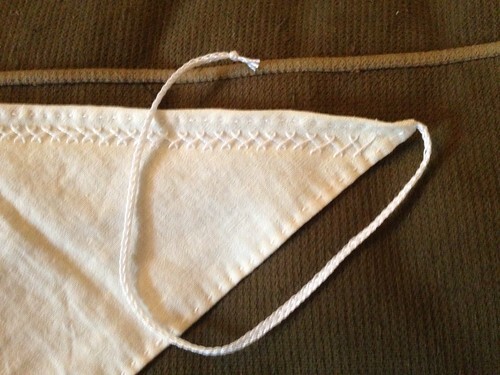 I think she was thinking about it just being a triangular linen cloth, but of course I couldn’t let it go just at that. 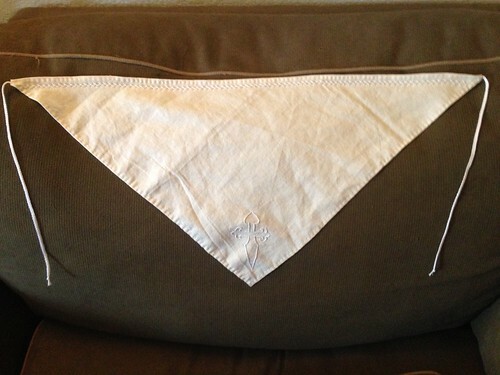 I hand-hemmed all the edges with a plain running stitch, and added a herringbone stitch to the front edge. I kept all of the embellishment stitches in white, to keep things subtle, and not visible should she choose to wear a veil over it. 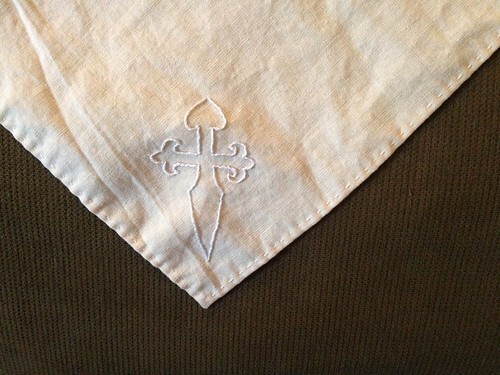 I also added an heraldic element from her coat of arms: A St James cross at the lower point in split stitch. I fingerlooped some ties and voila! All finished. All the embroidery thread was DMC Perle Cotton, in size 8.